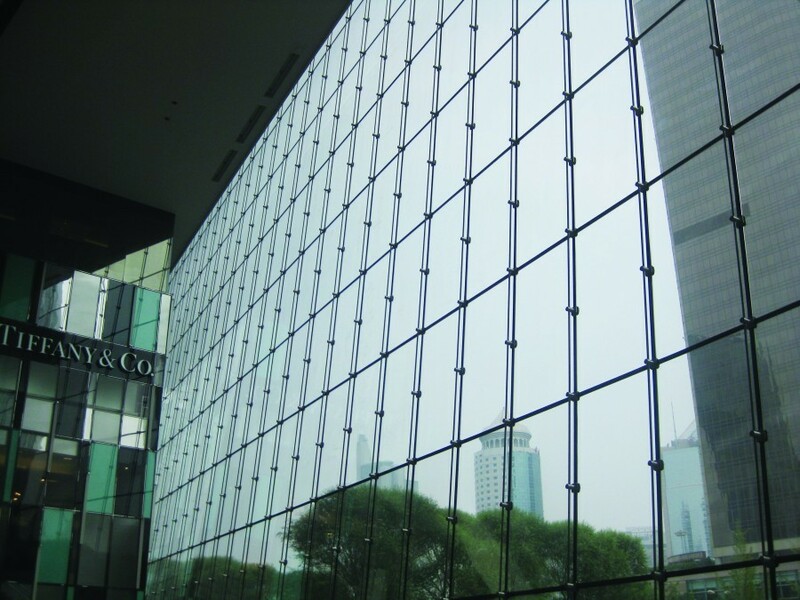 The tower façade features a thermallybroken, unitised curtain wall system with low emissivity insulated glazed units, shaded by full height external vertical glass fins. 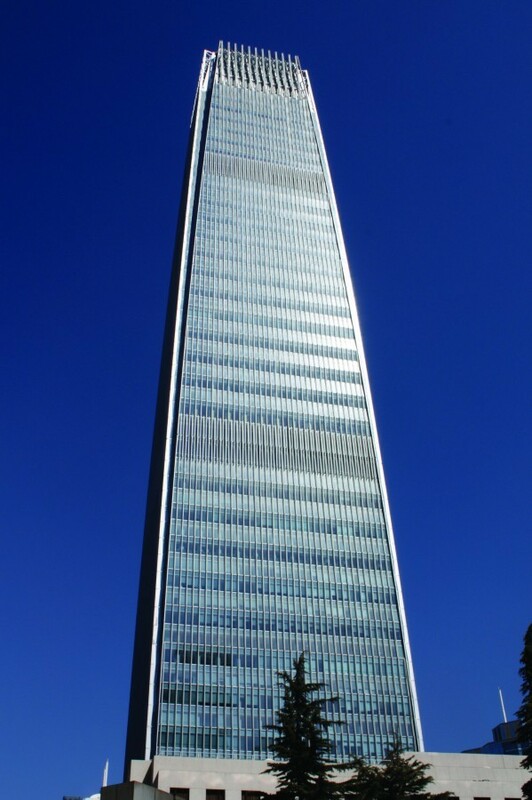 Because the tower tapers in as it rises, the curtain wall undulates on alternating floors to create a micro-texture to the overall façade. The external glass fins cantilever 600 millimetres from the glazed façade, providing shading and housing LED lighting strips along the outer edges fornight time illumination. The retail podium’s signature façade is 22 metres high and 100 metres wide, composed of a highly transparent, yet energy efficient retail glass wall, utilising low iron, low emissivity insulated glass units. These are supported only by stainless steel cables running from the ground level to the roof. This structure is the first of its kind in Beijing.